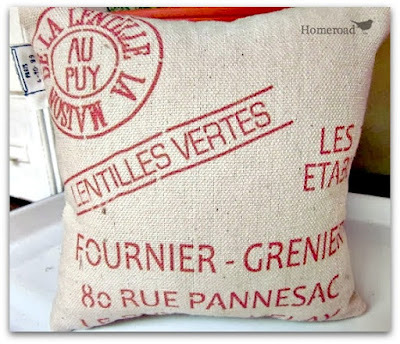 I love that this coffee stencil is so versatile that I can use only the parts of the stencil I need to make a project. the boards my husband threw away!!!!!... but more about that later. 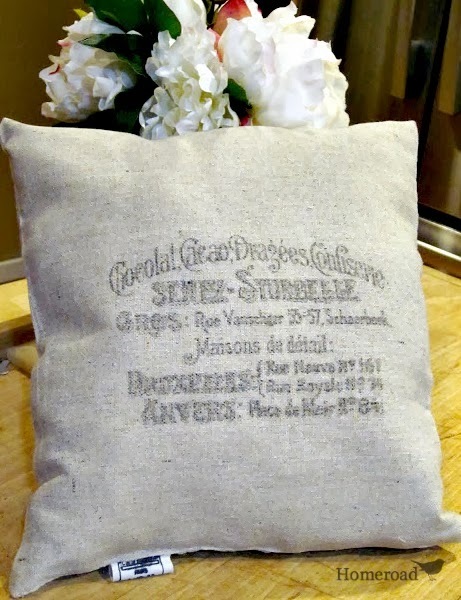 This is an easy project. 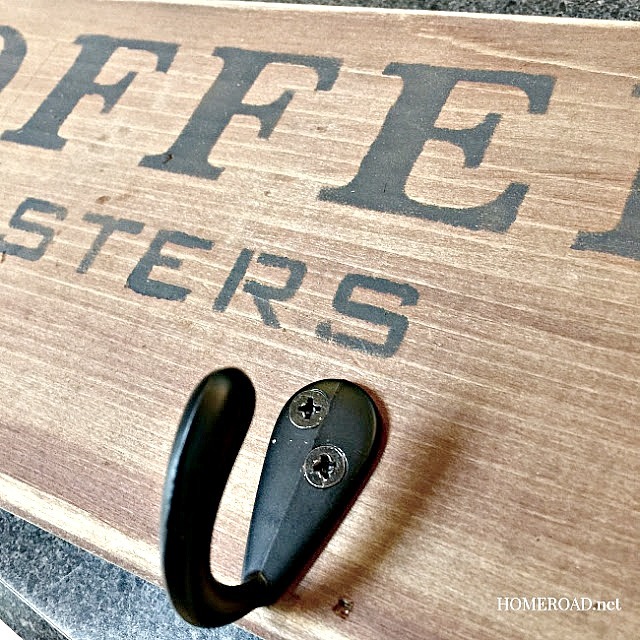 I cut one of those perfect boards to the size I needed and using one of my favorite stencils from Old Sign Stencils, I stenciled the image onto my board. 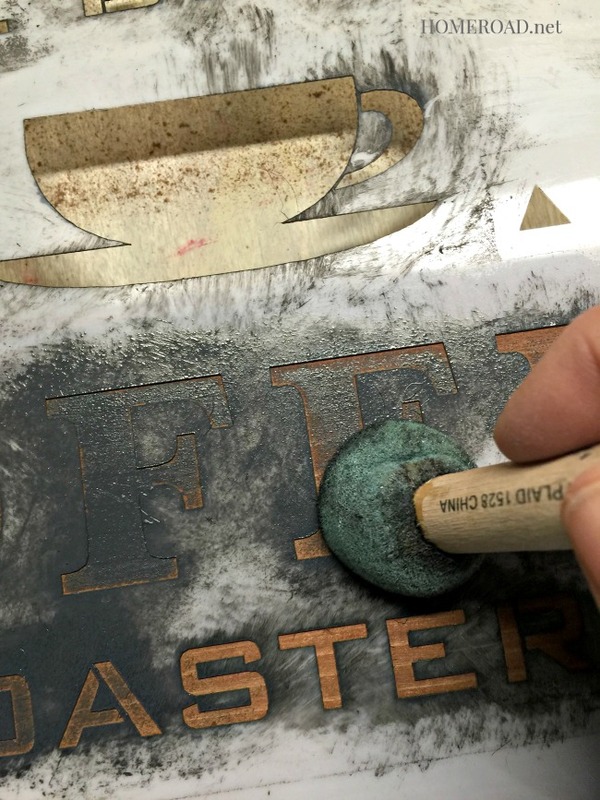 These stencils are nice and thick, I use only the part of the stencil I need for each project. 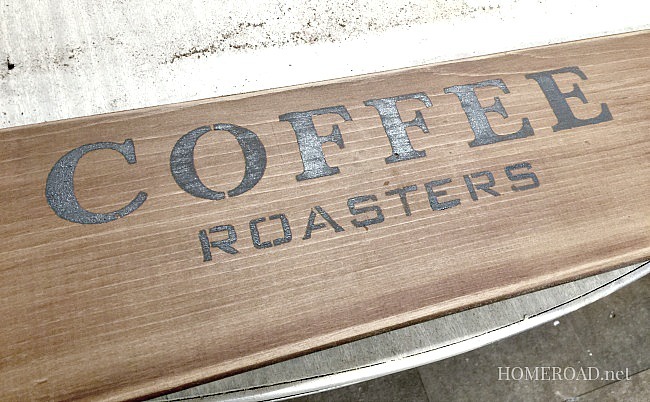 For this sign I'm only using "Coffee Roasters". I find that using spray adhesive on the back of my stencils gives me the best results. I use a sponge pouncer and using little or no paint on it, I pounce away until I get the desired coverage. 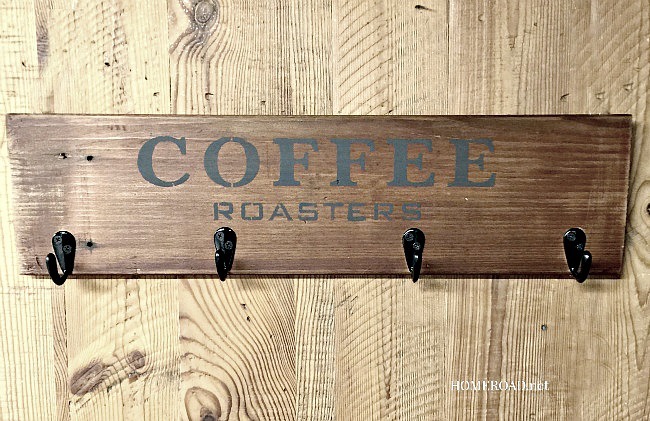 This sign is not only a sign, it is going to be a rack to hold coffee mugs. The hooks I'm using for this project came from D. Lawless Hardware. They have the best knobs, handles, hooks, and castors for my projects and their prices are amazingly reasonable. 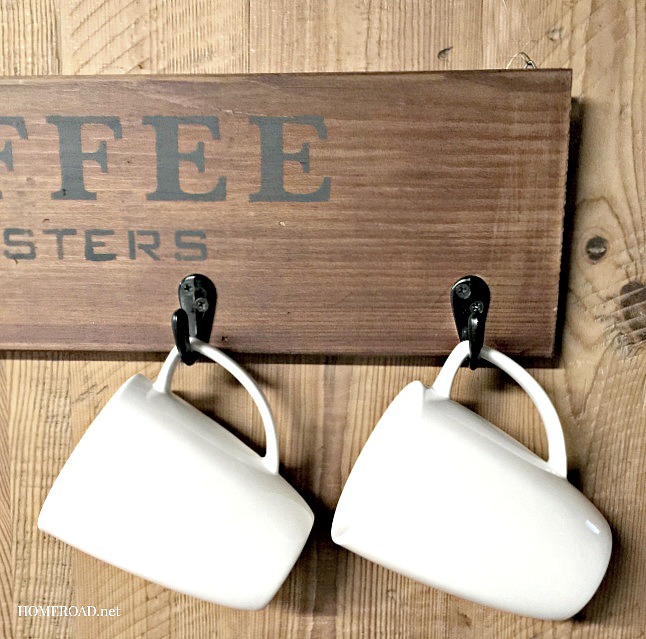 These small hooks are the perfect size for coffee mugs. 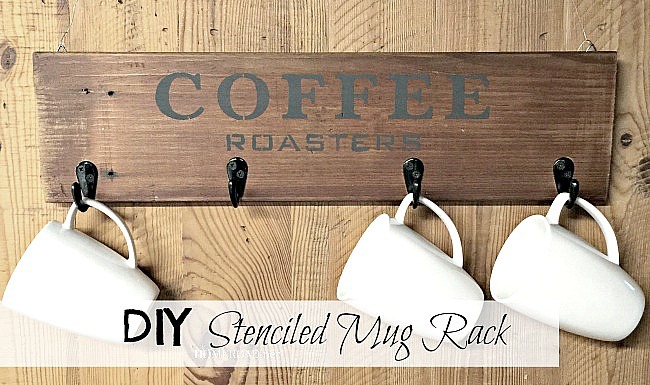 The stenciled mug rack is a great place to hold your coffee mugs but I'm sure at this point you're waiting to hear the rest of the story about the wood. You see my dear husband who knows what I do and what I use to make my signs was seemingly trying to help clean my perfect stash of reclaimed wood. In some kind of cleaning frenzy he decided that the beautiful wood I had stacked so neatly in a pile was garbage... so he threw it all out... all of it! Somehow he didn't seem to notice that I've been using it for my signs for weeks now! and I hope I find a pile of even better wood next time. So that's my sad reclaimed wood story. I'm going to have nightmares again being reminded about that trashed wood, and the pile wasn't even mine! Thanks! Keep in touch! It's been great working with you thus far! It is great working with D. Lawless Hardware! Great products! So sorry about the wood! :-/ I do love the sign and the hooks are just right! Thanks for sharing it with us!